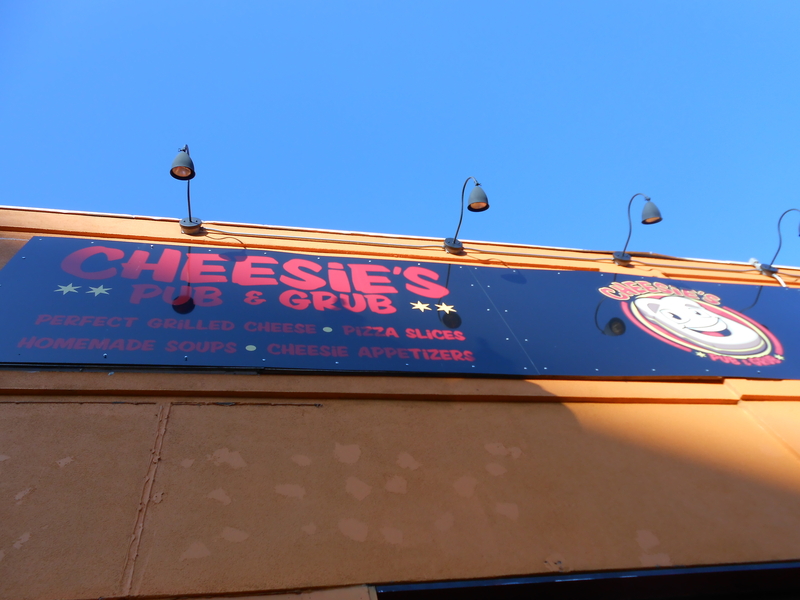 Cheesie’s is located in Lakeview and Evanston. 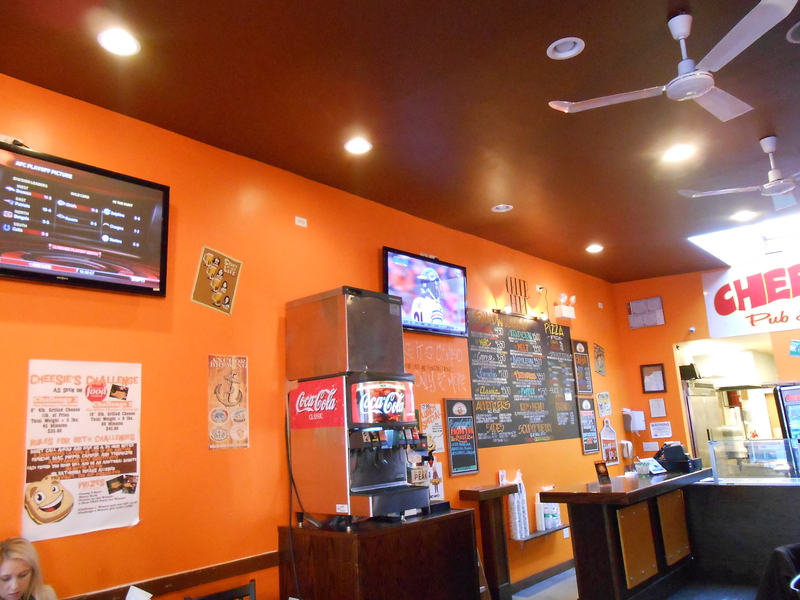 The one I went to is at 958 W. Belmont Ave., right off the Belmont brown/red line station. 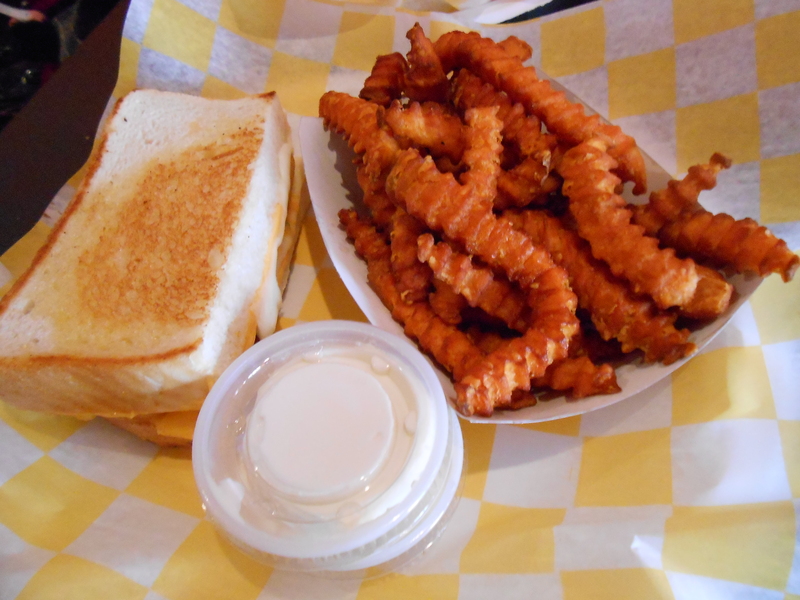 It’s a greasy grilled cheese pub. I went during lunch and ordered a lunch special which for the price of a normal full grilled cheese they also throw in a side and drink, but you get half of the grilled cheese instead of a full one. They give you a number and you can take a seat and wait and they’ll bring you your food. I picked The Frenchie grilled cheese. Which includes American cheese, Mozzarella cheese, cheddar cheese sauce, french fries, bacon, and chives. It’s served on sourdough and comes with a side of sour cream. For sides they offer salad, a fruit cup, fries, tater tots, or sweet potato fries. I picked sweet potato fries. My meal came with ranch dressing as well as the sour cream. It wasn’t as hot and melty as I was expecting. It was warm, and just barely. It might have been since I went during an off time because my friend said it usually comes with the cheese melting and hot. They also deliver and she said it reheats well. It was still enjoyable. It wasn’t too busy, they’re were people sitting at the bar and drinking, but the food was good and I tried dipping my sandwhich into the ranch and enjoyed it. The tables come with chalk and you can draw on them, or play tic tac toe, or write little messages. They erase easily with the napkins at each of the tables.